would upset many who had long held religious views of separation. What obstacle may God wish to remove within you so you can sit together with an ‘enemy’? Who do you consider ʻuncleanʼ? affecting the whole ʻloafʼ. 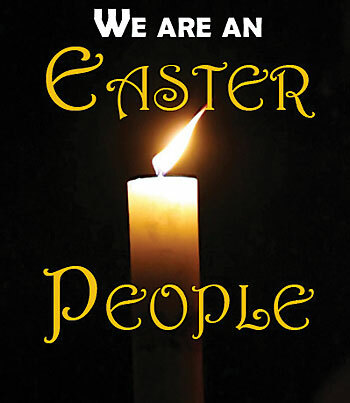 In response to the Resurrection we are called to be ʻnewʼ, people of the light, walking out of darkness. What particular action, habit, area of my life will I seek to tidy and sweep during the season of Easter as a response to living the new life of the Resurrection? Easter Saturday Vigil. What have you seen? What do you remember? What was shown to you by God to help you ʻbelieveʼ? • Imagine someone you have loved in a very intimate and special way. This person died and you were personally involved in seeing the death, the burial. In grief you go to the place of burial and see first-hand that your friend is not there. There is evidence of burial cloths and a messenger that ʻhe has been raisedʼ and that your friend so wants to meet with you and you will see each other soon. What would be your thoughts and feelings? If the resurrection is true, what change in thinking happens about death? About life? About God? Easter (and the next 7 weeks) is filled with the belief in the Resurrection, the appearances of Jesus, and readings from the Acts of Apostles. Acts 10 (first reading) is very significant as it involves Peter addressing a Gentile (Cornelius) and his family in their home. Jews could not be in a Gentile house or eat with them because of the clean / unclean restrictions of the Jewish Laws. This ʻuncleanʼ ʻsinnerʼ ʻimpureʼ label is the biggest obstacle between Jews and Gentiles not only in the First and New Testament but even today. God was demanding the unthinkable from good and law abiding Jews. Peter was being taught by God to ʻlift the status of ʻuncleanʼ off the backs of the Gentiles.ʼ What cultural, religious, family boundaries have you been brought up with which lead you to separate yourself from others? Who does the world label ʻuncleanʼ today? The Resurrection is a belief in Jesus rising from death. It is also deeply a life- style victory over powerful rulers who crush the poor and powerless. Does your belief in the Resurrection show itself in a Resurrection lifestyle? 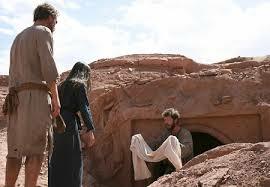 The image of Easter Sunday is the empty tomb. If thieves had stolen Jesus they would not have unwrapped him. The burial cloths are ʻaloneʼ. The story and evidence is shared. People consider it ʻnonsenseʼ. Peter walks home ʻamazedʼ. If you were present in the Resurrection scene, having witnessed his suffering, death and burial. And now the empty tomb with burial cloths on the ground… what would you think? A stolen body or risen Lord? What thoughts and emotions would be present? Spend some time at the ʻtombʼ and see what it teaches you. Can you ʻseeʼ and ‘believeʼ? Jesus is risen as he said! Jesusʼ resurrection shows a victory over death. Death has lost its ʻstingʼ. Identify 3 things that you would now allow to enter your consciousness as a consequence of believing in the Resurrection? What are ʻResurrectionʼ behaviours? What does it mean to be ʻEaster peopleʼ and ʻChristianʼ? As you have participated in the Holy Week ceremonies over the past few days what do you remember most, what struck you personally from the words, symbols, liturgies? What do you think God was trying to show you for your life journey? What is one action that you will do to be ‘living the word’ this week? St Augustine has famously called the Easter Vigil ‘The Mother of All Feasts’. This special night gives us signs, symbols, words, gestures which are at the heart of our Catholic Christian faith and identity. 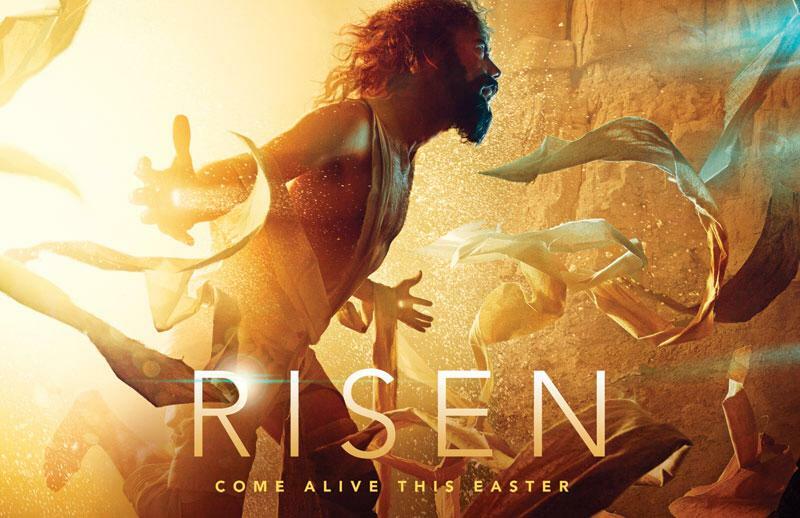 Every Sunday celebration flows from this Easter Celebration. We gather in the dark of night. Darkness symbolizing an absence of light, an unclear path to walk. Gathering around the light of a fire. Like people of ancient times have gathered and talked. We remember the pillar of fire that led God’s family through the desert journey. From this fire we light the Easter Candle the symbol of Christ. Our true ‘light’. It is normal to turn a light-switch and ‘see’. Can you locate an experience of darkness, feeling lost, uncertain of where and how to walk? And the joy of a ‘light’ to guide you? This dark / light reality is important to let enter your religious imagination this night. The foundational story of our beginnings and the divine statement 6 times of creation being ‘very good’ is deeply important. Despite the chaos of history, pollution, violence, can you look deeply into life and see ‘goodness’ and the ‘beauty of men and women in the ‘image of God’? How might this foundational attitude of goodness and thank-full-ness toward life cause you to live? Lights turn on and bells ring at the reading of the New Testament. Why? St Paul teaches us about baptism and the renewal of our baptismal promises made at the Easter Vigil. Our baptism actually involved us into Jesus’ death. We were ‘buried’. Our baptism calls us into ‘a death like his’. Our ‘old self’ of selfishness and sin has and is being crucified and ‘put to death’. Christ’s rising is also our future rising. Consider Paul’s words personally: ‘you must think of yourselves as being dead to sin and living for God in Christ’. What do these words teach you about your baptism? The Resurrection continues from the crucifixion scene with ‘end time events’ being seen: earthquakes, angels, people shaking with fear. Matthew wants us to recognize a truly cosmic event is taking place. A tomb, a place of death is now empty. What does this mean? Jesus has been raised from the dead. What does this mean? As we profess our belief in the resurrection of our bodies, is this merely present as an idea in your head stored up for when you die, or a reality that takes away fear and profoundly influences your living ‘now’? Jesus calls his disciples ‘brothers’ not hopeless losers who abandoned him. We are ‘family’ to Jesus. No matter how Lent went, enjoy Easter! What is one action that you will do to ‘live the word’ this week?